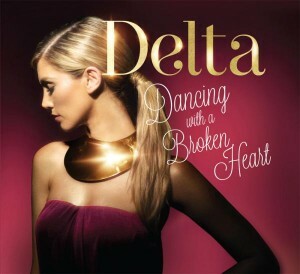 Delta’s new single ‘Dancing With A Broken Heart’ will make its debut on the ARIA singles chart tomorrow. The track is the second to be lifted from her forthcoming album ‘Child Of The Universe’, which is due for release a little later in the year. The official video broke late yesterday and it features our ‘Delts’ in a variety of rather gorgeous set-ups, from the corridors of a home to an ankle-deep pool of water. The imagery is actually rather gorgeous. Intertwined into the clip are images of characters whose hearts have been broken for one reason or another – and Delta’s here to let them know that despite all their troubles, it’s not the end of the world and brighter days are to come.